Thanksgiving Weekend is often considered the start of the holiday shopping season so of course Skylanders wants to be a part of your plans with fun promotions and some great deals. It all starts off with the popular video game franchise for kids hosting a giant character balloon in the 90th Macy's Thanksgiving Day Parade! Tune in to NBC on November 24th at 9AM (all time zones) to view Eruptor flying over the streets of New York City flashing his 25-foot smile. After your Thanksgiving meal there are some great Skylanders discounts and deals going on over the weekend. Starting on Black Friday, parents will be able to get their hands on Skylanders Imaginators Starter Packs for the suggested price of $39.99 each and Skylanders Sensei toys for the suggested price of $9.99 each, for a limited time at major retailers nationwide. 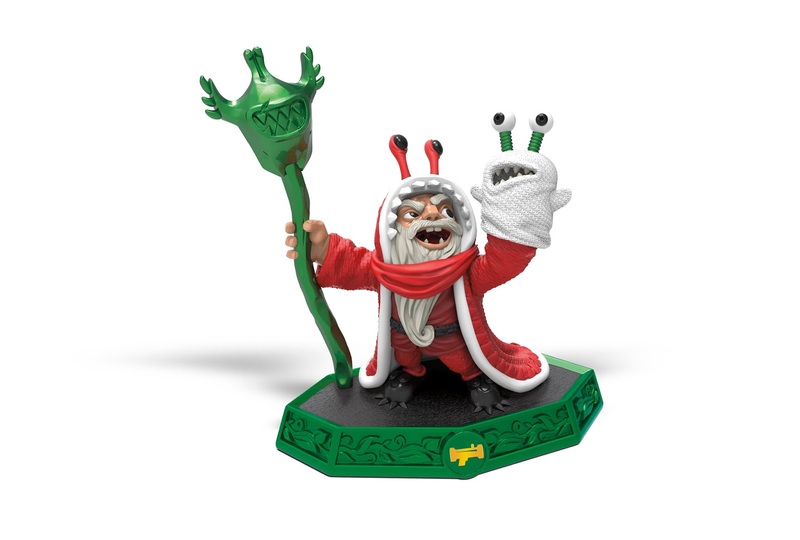 Activision Publishing, Inc. is also releasing a special holiday Skylander Sensei toy -- Jingle Bell Chompy Mage. Available at participating retailers starting November 25, 2016, Jingle Bell Chompy Mage is a specially designed toy that appears in the game outfitted in a holiday-inspired wardrobe. He joins the new lineup of Sensei Skylanders new to teach the Skylanders fighting techniques and a classic Chompy holiday tradition – the White Chompy gift exchange! After all, ‘tis the season to be Chompy! Believe it or not, the Chompy Mage actually hatched from inside a Chompy Pod! At least that is how his Chompy hand puppet tells the story. Having been raised by Chompies, it is no surprise that the old magician is a little strange. 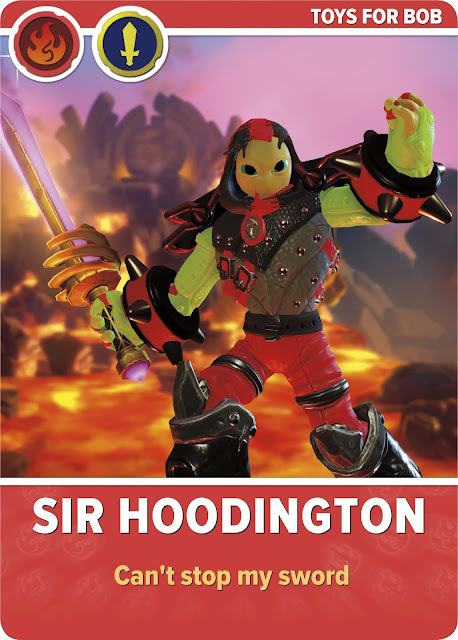 He simply grew up embracing the Chompy way – believing that Skylands would be a better place if everyone was a Chompy – an illegal enchantment which he has actually tried to perform on several occasions. It was this kind of magic that led to him to be locked up inside Cloudcracker Prison. 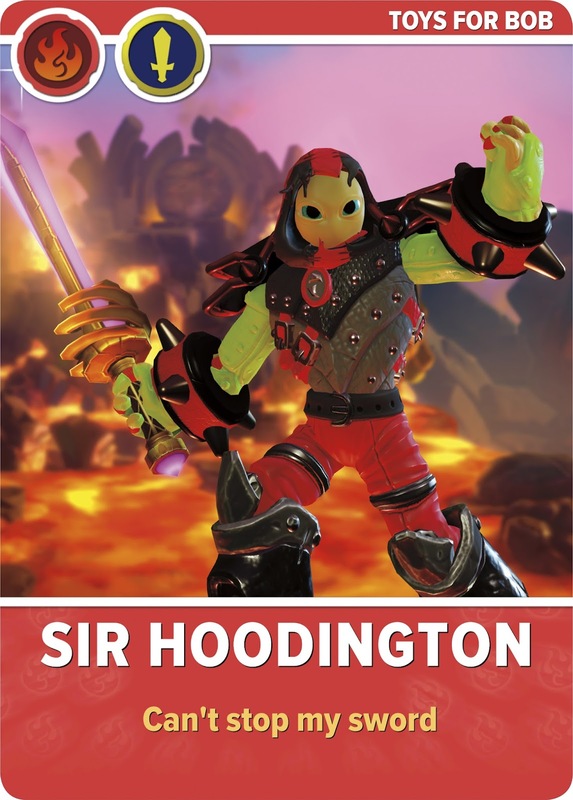 After breaking out and joining the other Doomlanders, Chompy Mage was once again captured by the Skylanders, Eon gave these Villains a choice – either go back to jail or become Skylander Senseis, teaching a new generation of Imaginators their formidable battle skills as well as how to stay clear of a life of crime. They accepted the deal but first had to prove themselves by re-arranging all the books in the Academy’s library, a task which took almost two years, testing every ounce of will they had. This also gave Chompy Mage time to take up the bazooka, which he was naturally so good at that he now trains Imaginators of the Bazooka Class as a Sensei master. Once you've had your fill of Thanksgiving dinner and shopping, have some fun by downloading the new SkylandersTM Creator FREE mobile app that offers Portal Masters a one-of-a-kind experience to create Imaginator characters on-the-go! 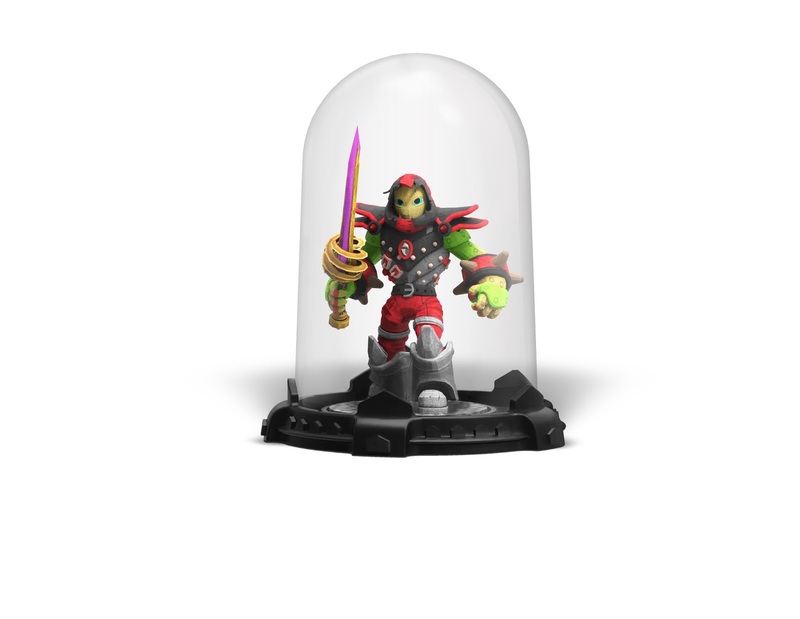 Skylanders Creator lets users design Imaginators from scratch directly from the app. Skylanders Imaginators players also can magically transfer their created characters from the console game to the app using innovate audio technology. The app also provides a variety of ways for parents to find the ultimate gift for the Portal Master in their life with the purchase of a fully-playable 3D printed figure for the suggested price of $49.99, an Imaginator T-shirt for the suggested retail price of $24.99 or an Imaginator Card which act similar to a Creation Crystal in allowing players to access a character made via the app on a game console for the suggested retail price of $14.99 – all items are customized to match the Skylanders Imaginator characters created by players on Skylanders Creator. Quantities for the 3D printed characters will be limited, making them true collectors’ items. Skylanders Imaginators is available on all major gaming consoles including Xbox 360™ and Xbox One™ video game and entertainment systems from Microsoft, PlayStation® 3 and PlayStation® 4 computer entertainment systems and Nintendo’s Wii U™ system. The game supports all 300+ Skylanders from previous games. 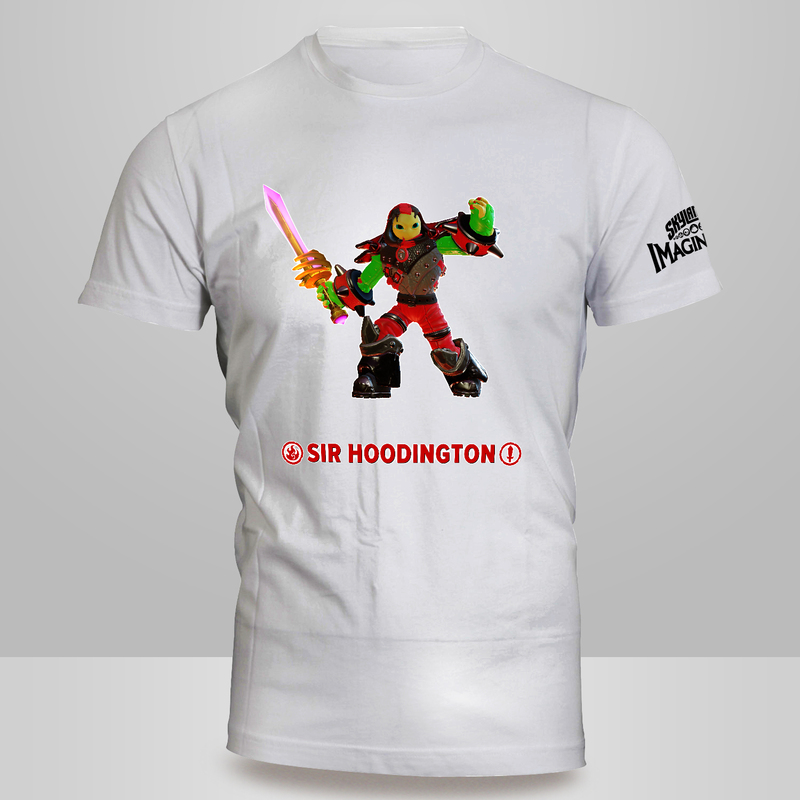 For more information, visit Skylanders.com.